* Travel dates May 28-Jun 27. Fares updated on: 4/18/2019 at 3:00 AM. Fares are round trip. Fares incl. all fuel surcharges, our service fees and taxes. Displayed fares are based on historical data, are subject to change and cannot be guaranteed at the time of booking. 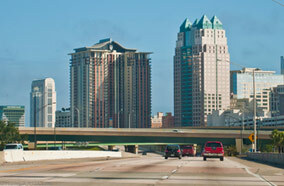 Orlando, the city in Florida State is a popular tourist destination. Frequented by local as well as foreign travelers, the city offers a haven for all those who wish to discover beauty, and adventure together. 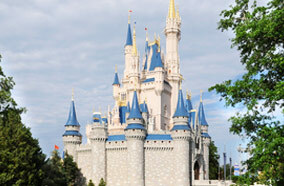 Blessed with a number of enchanting attractions some of the most popular ones include Magic Kingdom, Universal Studios, Disney's Hollywood Studios, Lake Eola Park, Hollywood Rip Ride Rockit, and Amway Arena. Many airlines operate flights from New York (NYC) to Orlando (ORL). Airlines like JetBlue Airways, Delta Air Lines, AirTran Airways, Spirit Airlines, and US Airways among others fly to Orlando from New York. While the city of New York has three main airports, Orlando too boasts of three airports in its premises. Orlando International Airport (MCO), Orlando Sanford Airport (SFB), Orlando Executive Airport (ORL) are all located in the Florida city. New York is proud of its airports namely New York John F Kennedy International Airport (JFK), New York Newark Airport (EWR), and New York La Guardia Airport (LGA). All those who are keen to book cheap flights from New York to Orlando can contact one of our travel experts at Fare Buzz today on 1-888-808-4123.